Can the location of a corporate meeting make a difference to its outcome? At Smart Own, we believe that being in direct physical contact with your products is essential to understanding the dynamics of your business and making sound and well-informed business decisions. 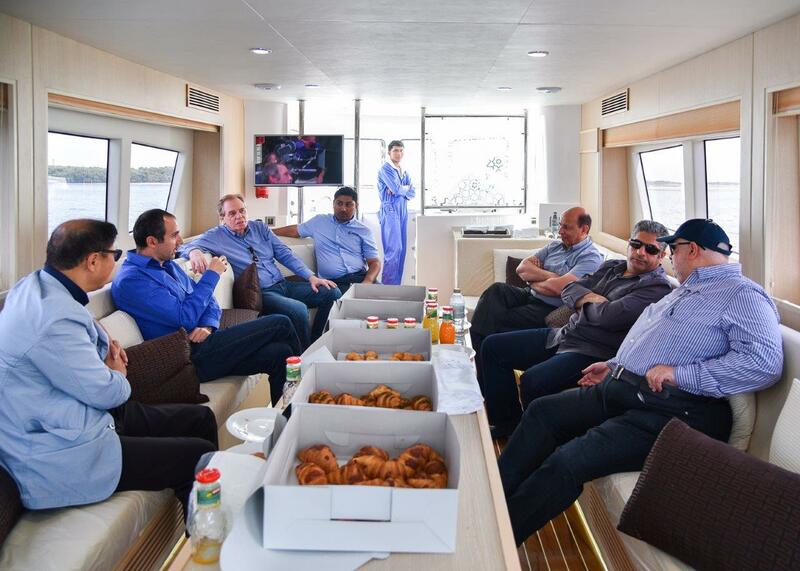 In that spirit, we built the Sea Lounge 40 for our customer GS Engineering & Construction Corp to allow their management to closely inspect the work progress on their $3-billion over-the-water bridge project in Kuwait. The Sheikh Jaber Al-Ahmad Al-Sabah Causeway Project is one of the largest infrastructure projects to be constructed in the GCC region. The project owner is Kuwait Ministry of Public Works (MPW). GS E&C has been commissioned to construct part of the project called the DOHA LINK which is a 13 km long marine bridge structure crossing the south of Kuwait Bay linking Shuwaikh Port with the Doha motorway. 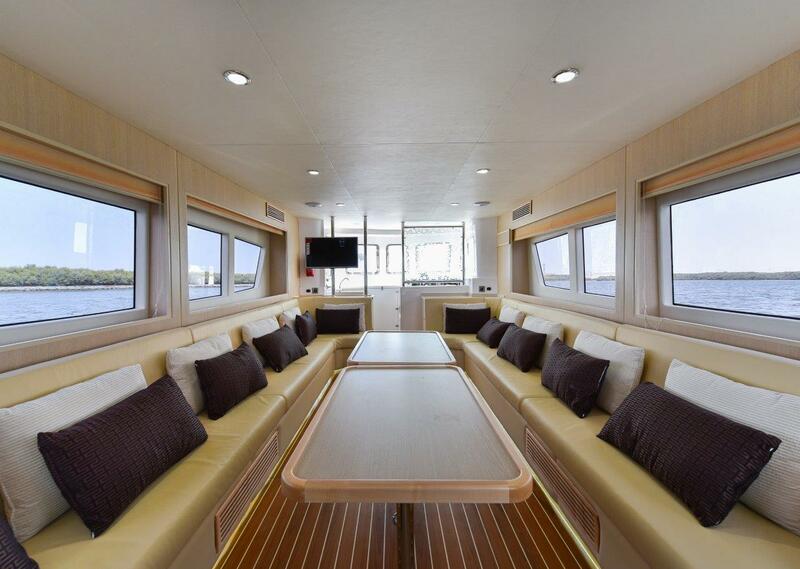 The Sea Lounge 40 is a corporate boat that replicates the atmosphere and ambience of a high-end meeting room at the headquarters of a blue-chip company. 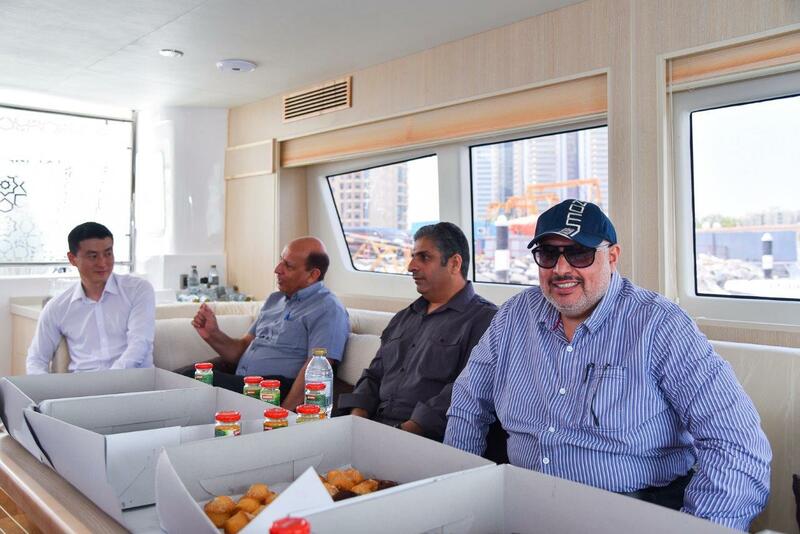 The objective is to provide management and their high-profile clients from the government and private sectors with a comfortable location on the water right under the bridge to allow them to inspect progress on the project up close and personal. 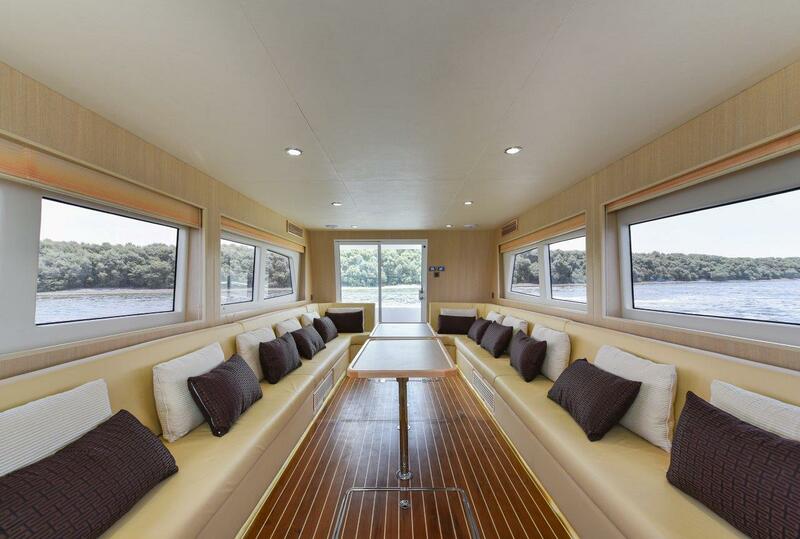 The Sea Lounge 40 is a luxury passenger boat, and a major part of the deck is dedicated to a large, luxurious meeting room. The lounge-style sofas are covered with high-quality UV treated marine leather with a lively beige color. A generous number of designer cushions and courtesy lights make for a relaxing ambiance. Two removable tables in the middle of the room can be used to review blueprints and other documents. When they’re not required, they can be stored in the large water-tight storage compartment in the bow area. Digital presentations can be shown on the 32” LCD screen with USB, DVD, and HDMI connectivity. Six Fusion marine grade speakers guarantee that everyone on board can hear loud and clear - and that even includes passengers taking a break outside on the swim platform. 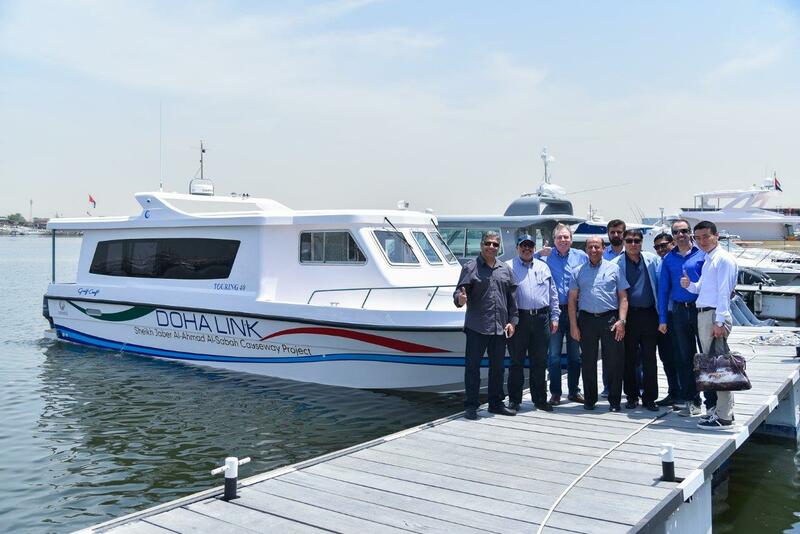 No expense has been spared on the custom-built DOHA LINK Sea Lounge 40 delivered by Smart Own to ensure that passengers can enjoy maximum comfort during their waterborne meetings. 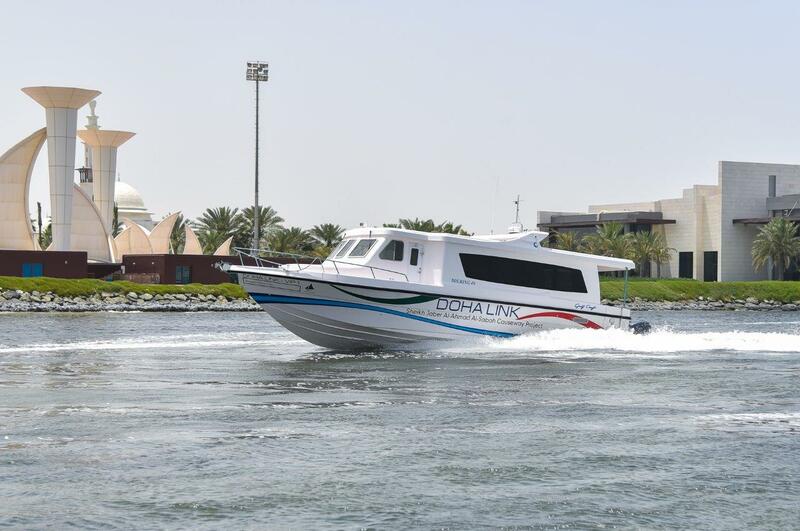 The boat is fitted with a super-powerful 48,000 BTU marine air conditioner, which guarantees optimum cooling even during Kuwait’s scorching summer days. An 11Kw Kohler generator and an auxiliary 4Kw Kohler generator offer more than ample electricity sources for this generously outfitted corporate boat. 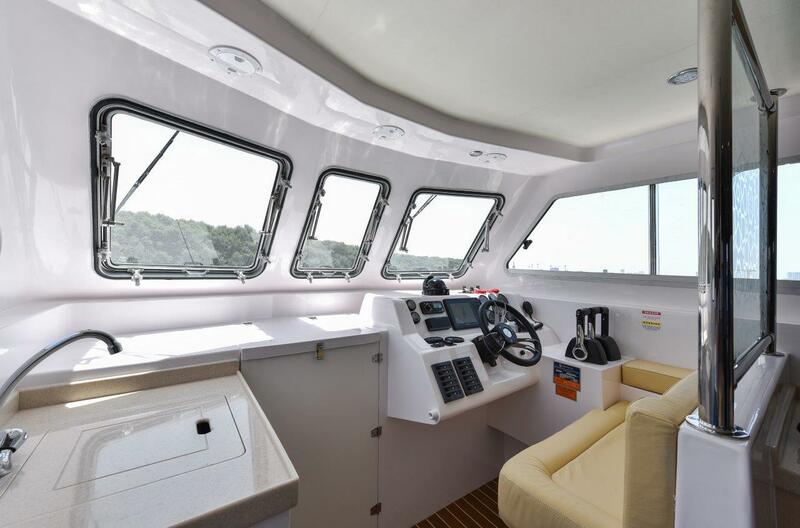 A full Garmin GPSMAP navigation package and VHF Radio allow this seaworthy vessel to venture safely in the open seas and reach the project site. A small galley is available next to the pilot, providing a sink, fridge and hot plate with glassware storage underneath — and it should go without saying that the boat is equipped with a fully electric toilet cabinet in the bow area. Even though this particular Sea Lounge 40 was built for a construction company to allow management to inspect the progress on a major bridge project, we believe the Sea Lounge 40 is more than an inspection boat for contractors. 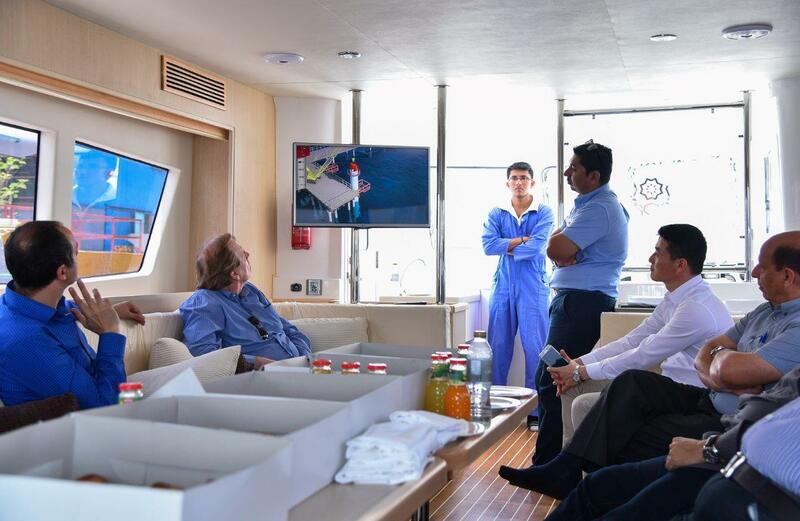 As a mobile, waterborne meeting room, the Sea Lounge 40 can provide any corporate or business meeting with new perspectives, first-hand experiences, and fresh insights. 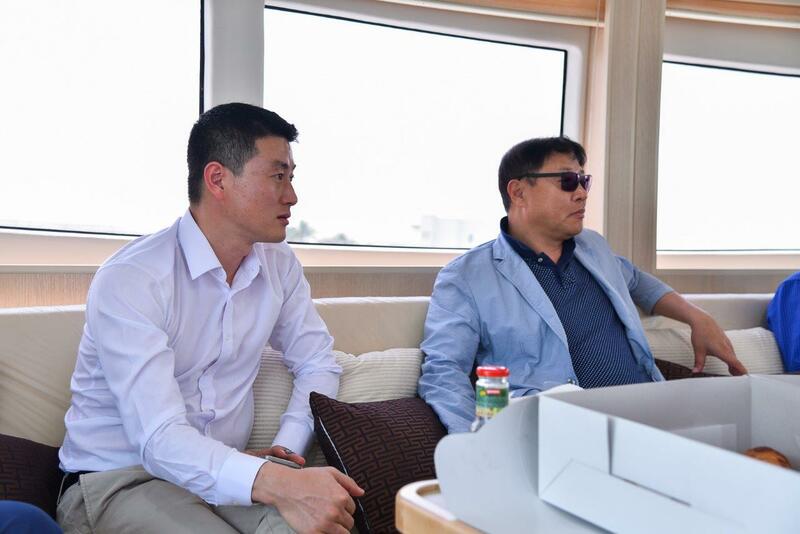 And as a luxury passenger boat, the Sea Lounge 40 can cater to 5-star hotels, government officials, and luxury water transport businesses who wish to offer their clientele a truly unique VIP experience. 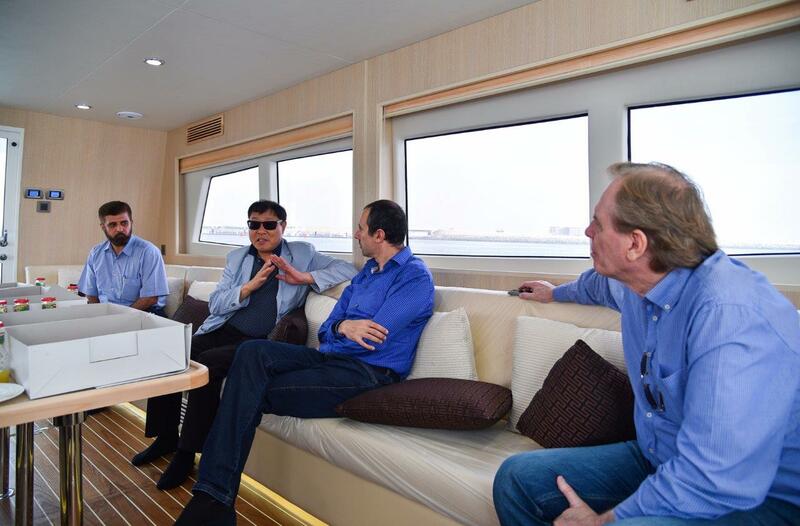 This is a boat in a league of its own, and we are happy to customize the Sea Lounge 40 to our customers’ taste and needs. From different seating layouts to unique wood and leather finishes and equipment installed to your exact specifications, there are countless options and possibilities. Tell us what your needs are, and we’ll be happy to provide you with a proposal. 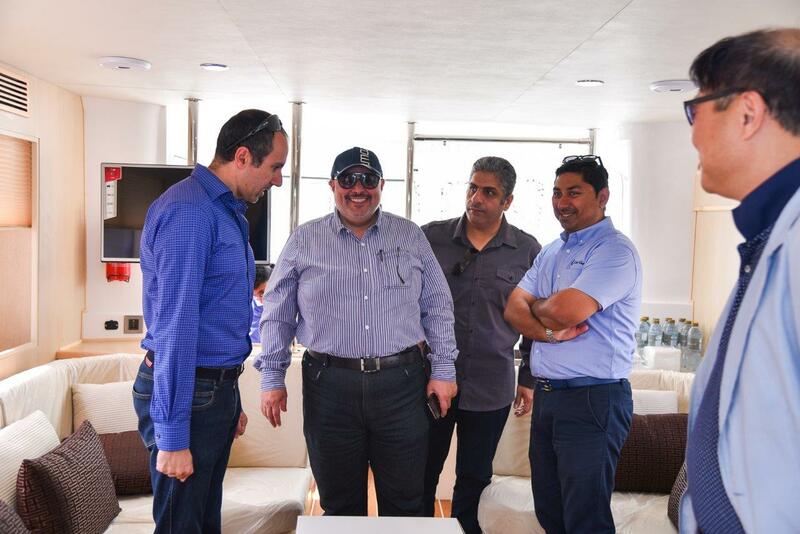 Smart Own hosted a VIP delegation lead by His Excellency Mr. Mohammad Al Hisan, the assistant undersecretary for Road Engineering at the Ministry of Public Works in Kuwait during the final sea trials of the DOHA LINK Sea Lounge 40. For more info about the Sea Lounge 40 please click here.